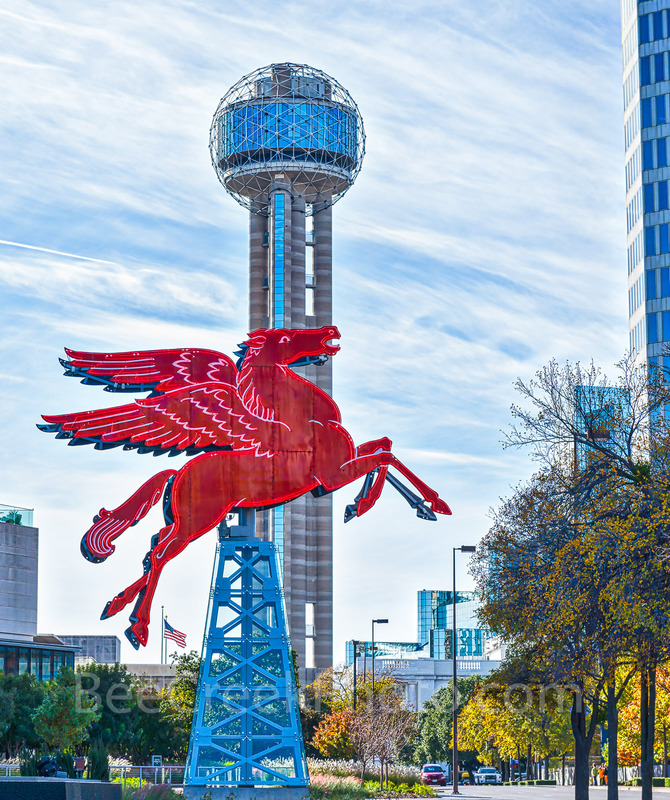 Dallas Pegasus and Reunion Tower - These two iconic landmark features of Dallas the Reunion Tower and the flying red Pegasus on top of a oil derick which had been on the Magnolia Hotel for more than half of a century. It was damage and was taken down restored and now stand in front of the Omni Hotel in downtown Dallas. Photo © copyright by Bee Creek Photography - Tod Grubbs / Cynthia Hestand.